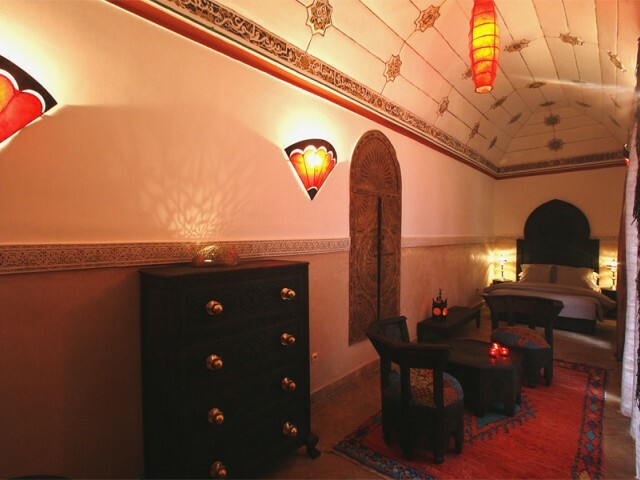 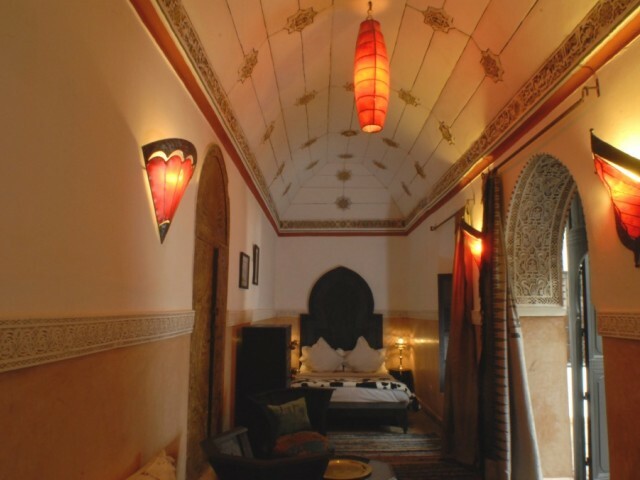 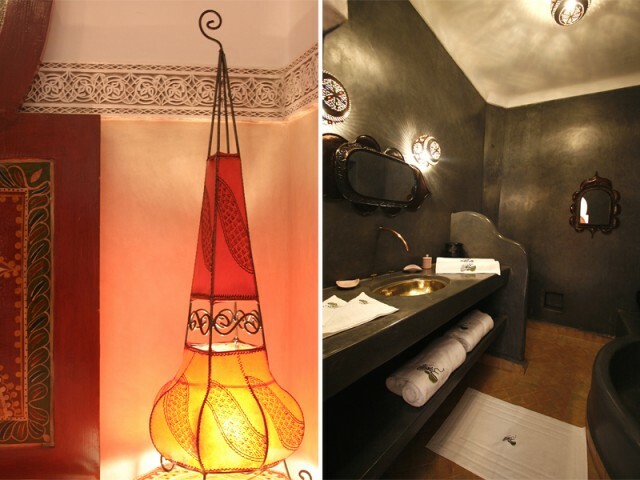 An authentic riad located in a peaceful historic district, from which the entire rose-red city is accessible by foot. 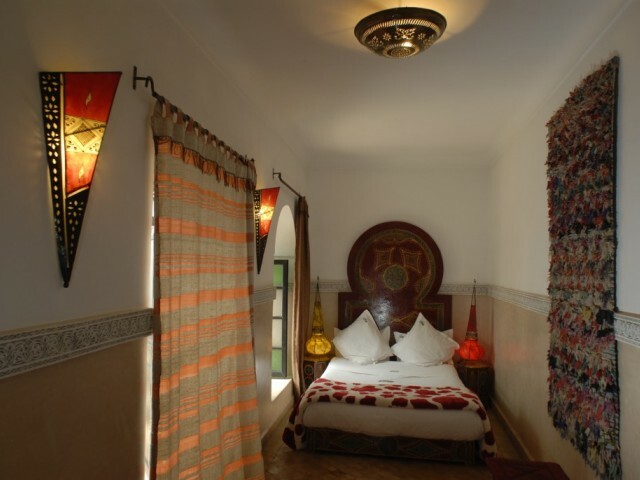 From the heart of Marrakech, the Djemma al Fna, you follow a lane that escapes from the colourful souqs (bazaars) through a labyrinth of alleyways full of enticing entrances to hidden hideaways. 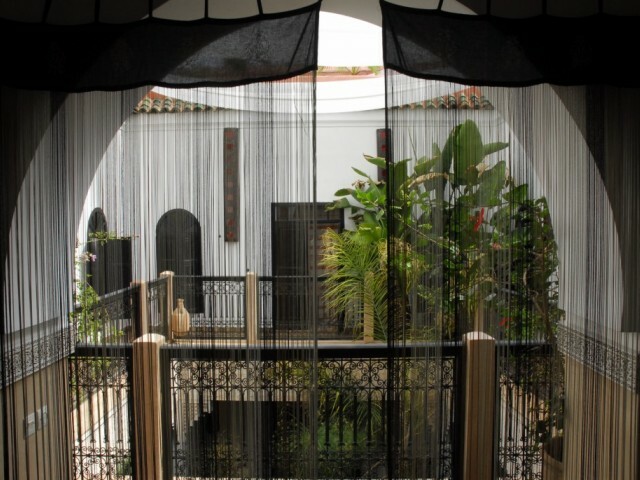 The hustle and bustle of the square ceases as you wind your way to the riad's entrance at the end of the lane. 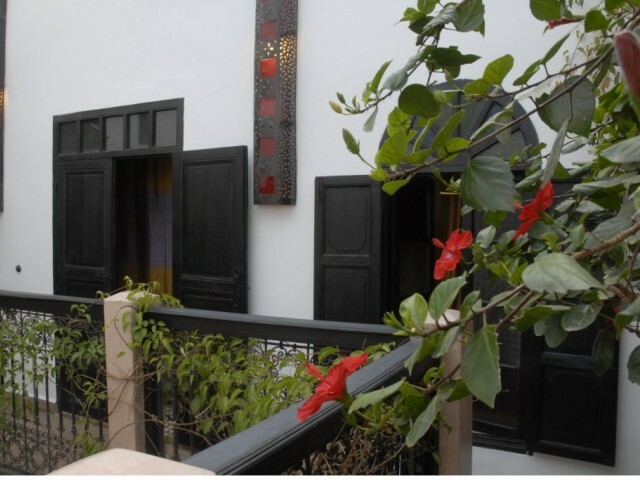 There, in the quiet, historic residential district, you will find an enchanting house lovingly restored with respect to the traditional Moroccan style, yet with all the modern conveniences. 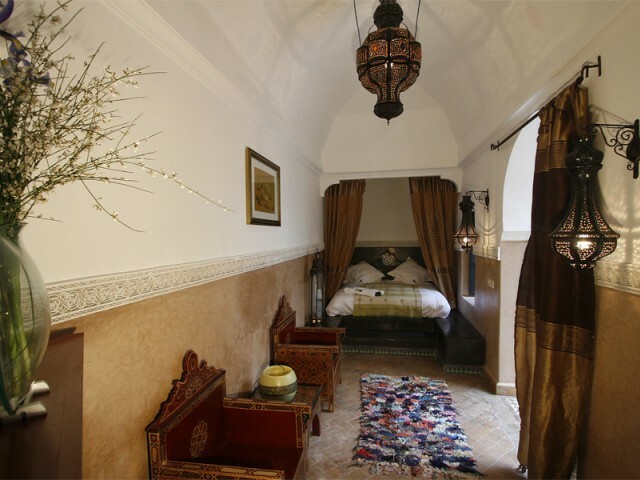 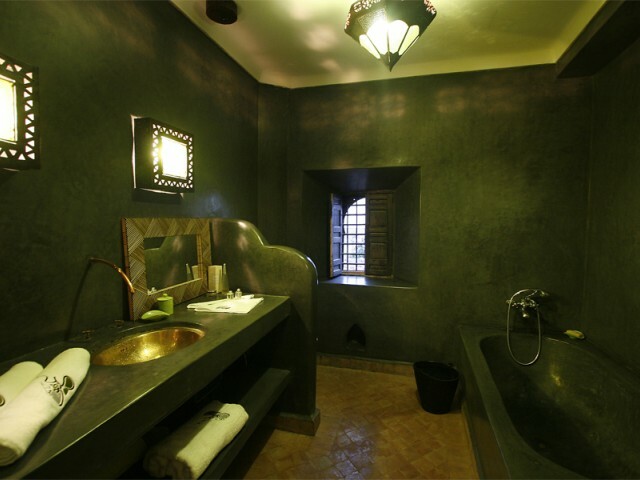 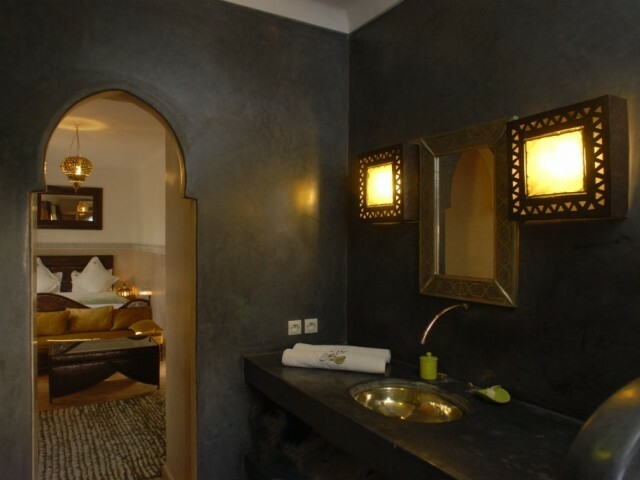 Inside the riad there are five beautifully decorated ensuite guestrooms spread over two levels, surrounding a courtyard with a central calming water feature, dining tables and chairs, and an open study/sitting room with a huge fireplace for cooler evenings. 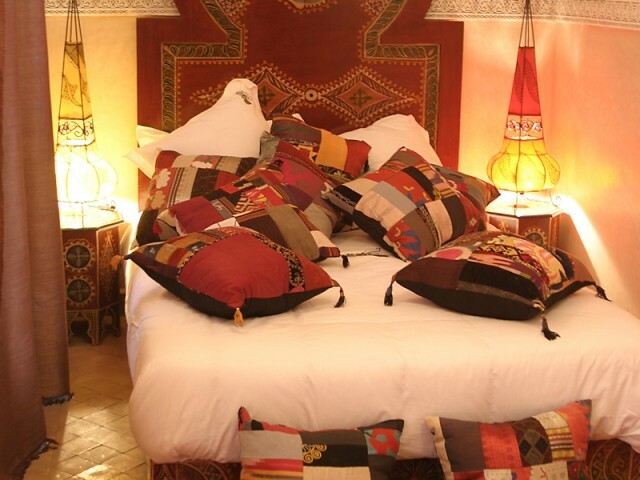 On the first floor there is a summer sitting room with settees adorned with colourful Moroccan cushions. 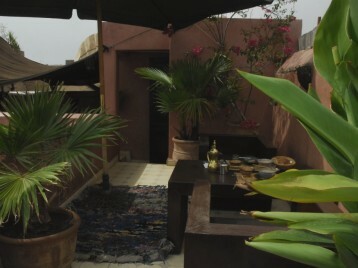 Above that is the open-air roof terrace where a continental breakfast is served daily; there is also a hammam (steamroom) and a swimming-pool. 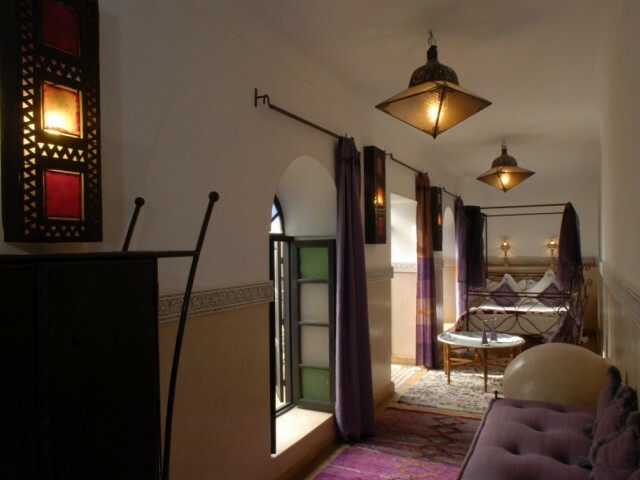 A very large room with polished, wrought-iron furniture, located on the first floor of the riad. 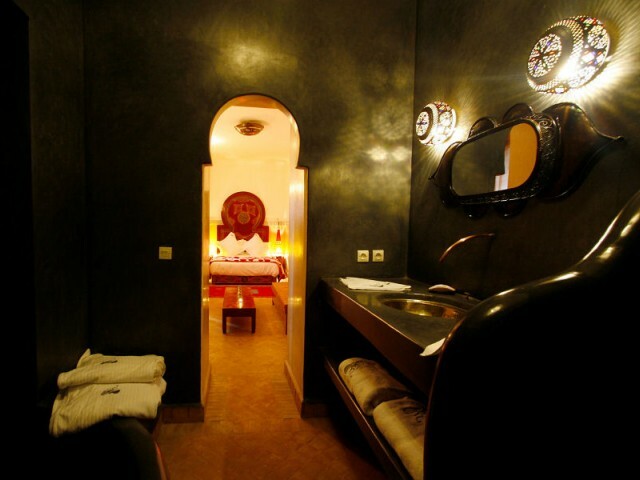 The huge bathroom is made of tadelakt black and has a small window that opens out over the derb below.Room size is 270 square feetKing-size bedLarge bath-tub, dressing gowns, hair-dryer. 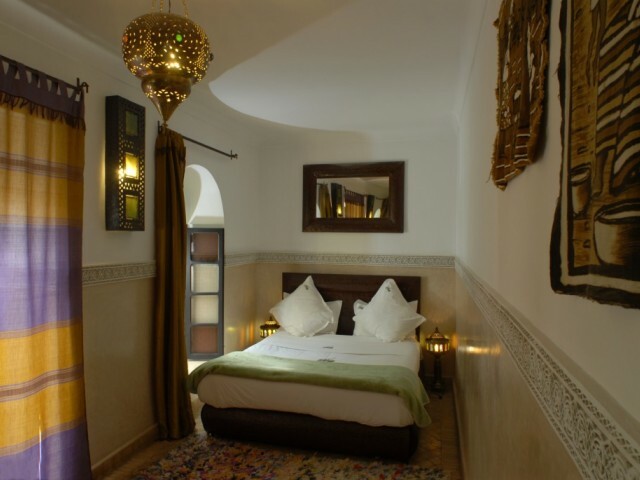 A very large room with a queen-size bed, wooden furniture and original 18th century ceiling, on the ground floor of the riad. 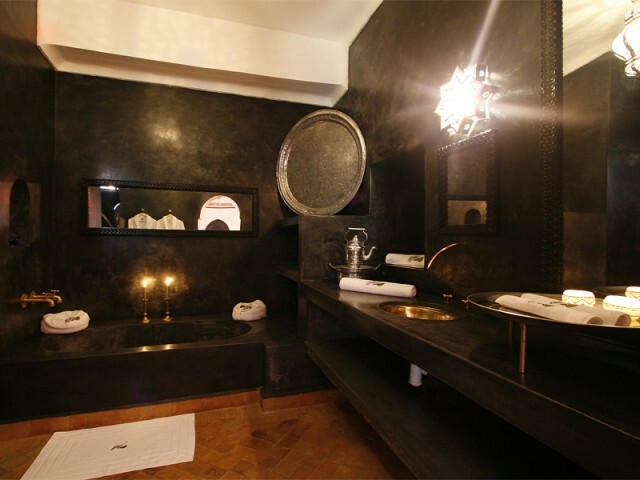 The enormous bathroom is made of tadelakt black.Room size is 365 square feetQueen-size bedShower, immense bath-tub, dressing gowns, hair-dryer. 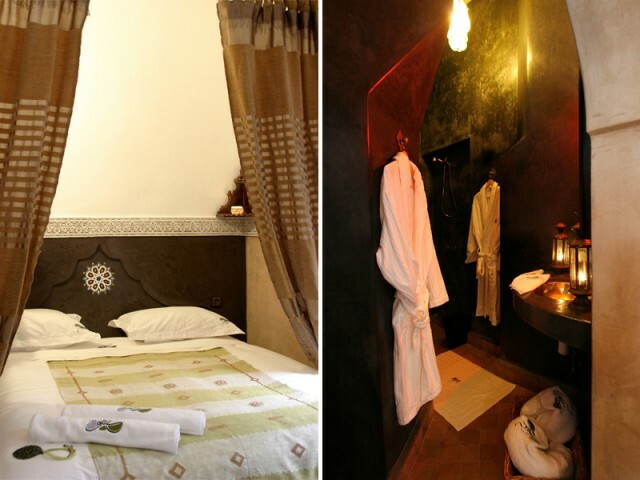 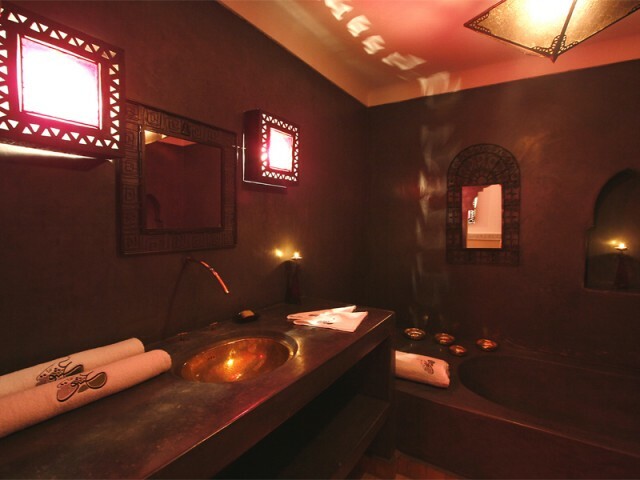 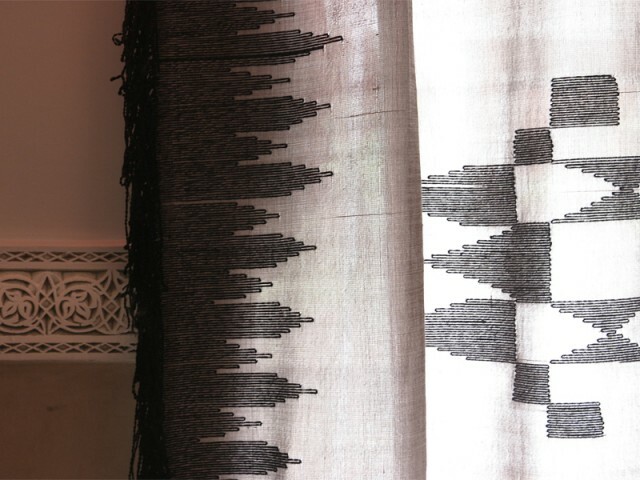 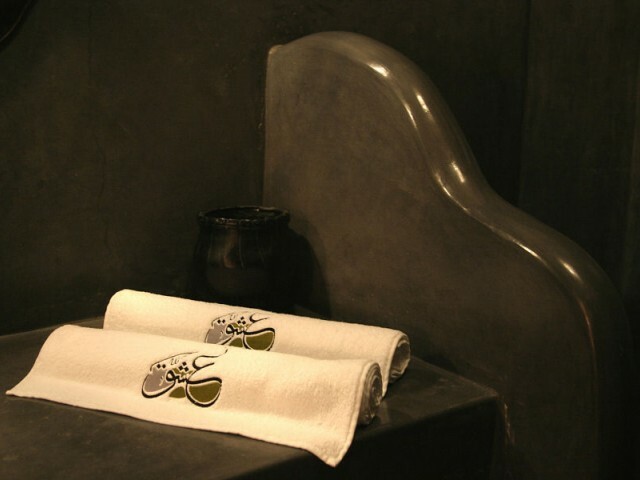 When you return to the riad, you can make use of our private hamman to have a whole-body exfoliation or relaxing massage, either on your own or with a partner (unlike the public hammams in Marrakech, which are segregated for men and women). 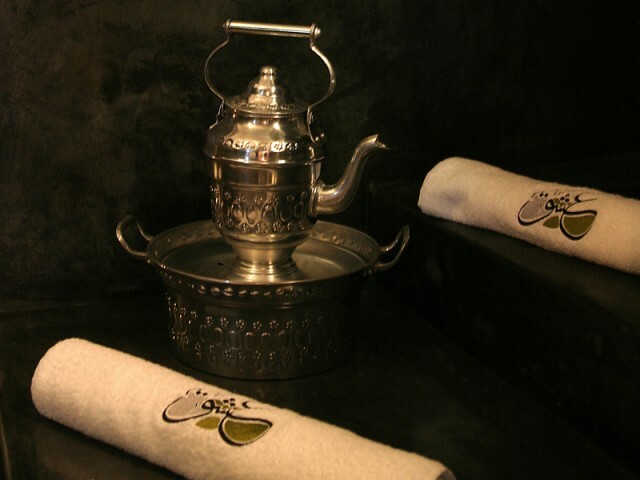 Whether in the courtyard, the summer salon or on the rooftop terrace, you will be able to taste the delightful preparations of our in-house chef, who will gladly prepare an exquisite evening meal for you on request. 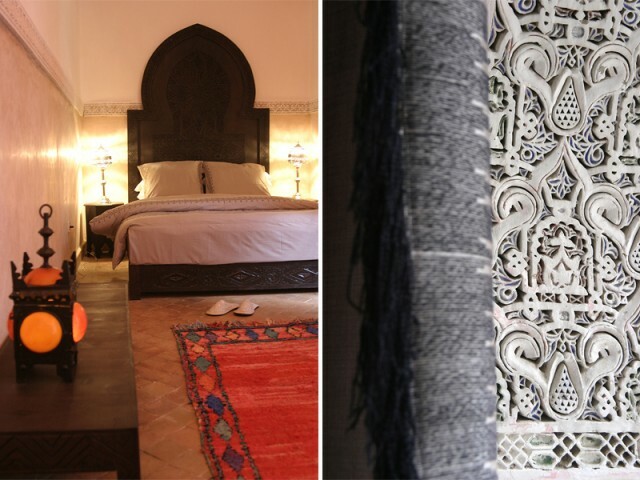 We are always available to advise you about anything regarding your stay in Marrakech, and if you wish we can also organise activities or excursions to places of interest, such as treks in the High Atlas by horseback, four-wheel drive or motorbike.